Build, customize, and soar! 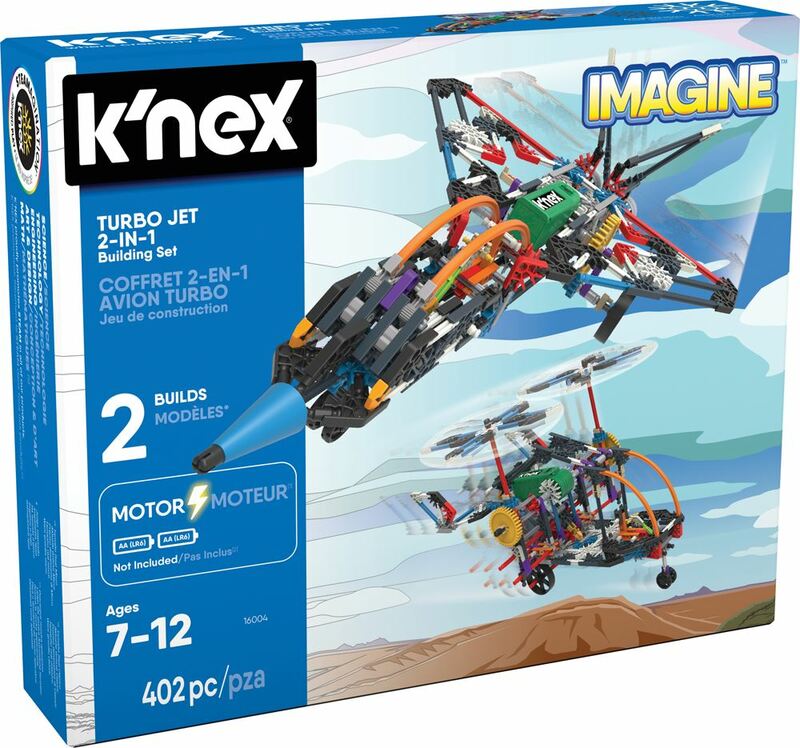 The K'Nex Turbo Jet 2-in-1 Building Set lets your children design and create the jet planes of their dreams. Includes: 402 K'Nex parts (primarily rods and connectors), speical motorised moving parts like wheel and helicopter rotors, a battery powered motor and easy to follow instructions for a jet plane and heli-plane. Requires 2 x AA batteries (not included). Part of the Imagine range. Age 7 + years. Distributed in New Zealand by Holdson.